Those four guys are still around, right? You know, Novak Djokovic, Rafael Nadal, Roger Federer and Andy Murray right? So why do the full on Australian Open men's bracket breakdown? Don't we already know who's going to be around at the tail end of the tournament? Maybe. Anyway, let's have a little fun with this. We got such positive feedback about our collaboration at the Bloggers' Bar at the ed of last year that we thought, why not bring in some outside perspectives again. To that end, I've been corresponding with my fellow New Yorker Jeff Sackmann who runs a really interesting tennis blog called Heavy Topspin. What I immediately loved about his take on tennis predictions is their bloodlessness. Jeff's developed an algorithm that takes into account the quality of opponents (adjusted for surface), recency of result over two years and head-to-head results and then runs a million simulations of the ENTIRE draw to predict the outcome of a tournament. The other side is headlined by World No. 5 David Ferrer who shouldn't see a real challenge in his section. Rui Machado, Ryan Sweeting, Igor Kunitsyn should all fall like dominoes to the Armada's first mate. The other part of this section is littered with notables including 9th seed Janko Tipsarevic (who faces Dmitry Tursunov in the first round), Mikhail Youzhny and 17th seed Richard Gasquet. This is where the computer and I differ, Jeff's simulation has Ferrer coming out of this section to face the Djokovic/Raonic winner in the quarterfinal, which is never a bad pick, Ferrer is about as steady as they come. I like Janko Tipsarevic here. Last year he came into the Aussie ranked just inside the top 50, he ended least year beating (an admittedly spent) Djokovic in the World Tour Finals. Both guys have played well so far in 2012, but there's an interesting nugget in their head-to-head. 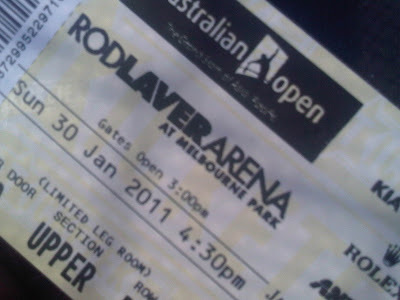 Tipsarevic won their last matchup, on a hardcourt, before he was half the player he is today (2008 Olympics). I'm tipping Tipsy. Andy Murray has to be thrilled, he finally isn't staring down Rafael Nadal in his half of the draw. This time, he's in the same half as...Novak Djokovic. This guy can't win for losing, can he? Murray's first round matchup should keep the censors busy as self-directed expletives could be flying from both ends of the court against fiery young American Ryan Harrison. Next up will likely be the ageless wonder Xavier Malisse before a third round tilt with either ex/current Russian Alex Bogomolov Jr. or one of the game's greatest characters and most maddening competitors, Ernests Gulbis. The other side of this wildly entertaining section of the draw includes an ex World No. 1 in Juan Carlos Ferrero who takes on slumping Serb Viktor Troicki. Longtime next-big thing Thomaz Bellucci and elastic Frenchman Gael "The Human Highlight Rael" Monfils are Murray's most likely round of 16 opponents. The computer and V Blacklabel agree that the fourth rounder between Murray and Monfils looks likely. Interestingly enough, the two have an inconclusive 3-2 head-to-head (Murray leading). They split their last two matchups with both going the distance on hardcourts in 2010. The other section of the draw houses the other hyper-talented Frenchman, Jo-Wilfried Tsonga. He opens against Uzbekistan's Denis Istomin, then should face Ricardo Mello. Marcel Granollers should be Tsonga's first seeded opponent, though I wouldn't complete discount big-serving Croat Ivan Dodig. The top seed in the other section is No. 12, the Frenchman with the Gimelstob-ian calves Gilles Simon who should see Sydney finalist and countryman Julien Benneteau in his second round. The other seed here is Japan's Kei Nishikori. He opens versus, shock, a French player, Stephane Robert and could eventually setup a meeting between himself and the crafty Frenchman Simon (not to be confused with the elastic Frenchman, Monfils, or the hyper-talented Frenchman, Tsonga, got it?). When all is said and done, will their be a Scottish winner of the French quarter, or will the tricolore fly over Rod Laver Arena? Well, the computer and I seem to disagree on that one. Here lies 16-time major champion Roger Federer. Cursed be he who dare disrupt his bid for a 17th major. While we're not sure if Federer's back should be much of a concern, his draw certainly isn't, at least not in the first two rounds. He opens versus a 26 year old first time qualifier Alexander Kudryatsev who's won three tour level matches in his career. In other words, it's an honor for him to be here, and if he weren't afraid of the locker room taunting it would cause, he might carry a giant tennis ball onto the court for Federer to sign. Andreas Beck and Eric Prodon are both clinging to the top 100. Beck was a solid player, while 30 year old Prodon makes Kudryastev sound like an all-star with his 1-13 career tour level record. A sinking Jurgen Melzer has a nightmare draw, facing Ivo Karlovic in the first round with the winner of that tie staring down Federer in round three. The top half of Federer's section has a blockbuster first-rounder between two volatile talents in Fernando Verdasco and Bernard Tomic. The winner of that matchup *cough*Tomic*cough* taking on a still reeling Sam Querrey for the opportunity to face 13th seeded Ukrainian Alexandr Dolgopolov. This is where it gets interesting, Federer/Dolgpolov, yes please. If Dolgo's fighting fit after his leg injury in Brisbane; that match could be electric (injury is one variable no simulation can take into account). If not, you hope Tomic goes through for one of those changing of the guard matchups we always hear so much about. The other side is fronted by two players for whom put-up-or-shut-up time is fast approaching. Eighth seed Mardy Fish and 11th seed Juan Martin Del Potro. The good news for both is that while fine players abound, especially in Fish's section (see: Gilles Muller, Philipp Kohlschreiber, Alejandro Falla) there's no reason these two shouldn't keep their date in the Round of 16. Del Potro and Fish have met five times, alternating victories including twice last year. This time, it's Del Potro's turn; the computer and I agree. Rafael Nadal might not be in love with the tour schedule, but he has to like his road to an 11th major title...well, at least the first few legs of the journey. Alex Kuznetsov. The he could play another young American in 19 year old Denis Kudla who won his way through qualifying to face the veteran Tommy Haas in a battle of two players ranked outside the top 175. Donald Young could be the third straight Yankee fee for the Man from Mallorca if he can upend 28th seeded veteran Ivan Ljubicic in the second round. The computer agrees, giving Nadal a 70.7% chance of making the fourth round, second to only Djokovic. Then the road suddenly turns tough in the round of 16, Nadal could face compatriot Feliciano Lopez, longtime foe Nikolay Davydenko, David Nalbandian (still smarting from his inability to get a shot at Nadal in the Davis Cup final) or huge-serving John Isner who almost bundled Nadal out of Roland Garros in the first round last year taking a two sets to love lead. The boldface on the other side of the draw is Tomas Berdych and no disrespect to the men in his section, including potential second round foe and Auckland finalist Olivier Rochus, but Berdych, who warmed up for the Aussie at the Hopman Cup should run roughshod over his first few competitors, getting to the round of 16 without incident. The bottom half of the Berdych section is full of players who are dangerous, 10th seeded Nicolas Almagro doesn't play his best ball on hardcourts, but he's no slouch either. Stanislas Wawrinka is here as well as Marcos Baghdatis and his vociferous Cypriot-Aussie cheering section. The name that keeps catching our eye is Grigor Dimitrov. The computer is not impressed, giving the Bulgarian nicknamed Baby Federer less than a 50% chance to get out of his first round encounter with Jeremy Chardy. I disagree, I think he can get all the way to a round of 16 matchup with Berdych before well, realizing he's still got a ways to go before the nickname is anything close to accurate. Just a note, my predicted semifinals are rematches of the 2008 and 2009 finals. Finals: Here we are again, no? Any time we come to the end of a major the same few men seem to be on the drawsheet. This year, Tsonga might interrupt the Big Four's hegemony here in Australia, but for the most part it's the same old show...and one that we're hoping isn't cancelled any time soon. The opening of the 2012 season is an opportunity. For Djokovic, the opportunity is to solidify himself as a champion for the ages with his sixth major. For Nadal, it's a chance to exorcise the bogeyman that is Djokovic. Nadal comes into 2012 off the back of a Davis Cup title, just as Djokovic had in 2011, but he also comes in complaining of a bad shoulder, the length of the season, Federer's allowing the rest of the tour to "burn" themselves out and knowing he needs to beat Djokovic again and soon. Djokovic ended 2011 in rather canny fashion, retiring when his body wasn't up to it; showing up at the World Tour Final as a victory lap and generally giving himself as much of an opportunity to rest as he could. When he showed up at the Abu Dhabi exhibition this year, Djokovic thumped his competition; Nadal lost a tight match to Monfils in Doha the following week. Nadal has to remember how to beat Djokovic at some point. Here...? See the information which includes every one of the rolex replica sale of all timepieces you are searching for cautiously. Being a observe supplier, often My partner and i notice consumers going back a wristwatch mainly because it absolutely was too big or perhaps also tiny. Only if that they had see the information as well as the technical specs cautiously, they don't must waste money about shipping and delivery and also generate added perform replica handbags sale trouble regarding by themselves among others. In case you are not sure whether or not a wristwatch will probably be too big or perhaps also tiny to suit your needs, determine the hand and also realize the rough dimensions. Bear in mind it is possible to constantly contact the particular breitling replica sale and have regarding further aid. That positive surpasses creating a great needless visit to hublot replica watches tn post office. You can find numerous observe group components including metal to be able to eel epidermis. Which usually substance is best suited to your observe depends upon the style along with your designed utilize to the observe. In case you are lively and will also be having the observe damp usually, next you should choose 2015 chanel replica any metallic diamond regarding some type or even a plastic tie while they are usually an easy task to clear and observe after. Before any big tournament, we do some kind of prediction about who will be the winner. Most of the cases, we guess for the right winner and in most of the cases, we fail to predict the winner. Novak Djokovic, Rafael Nadal, Roger Federer and Andy Murray all the star tennis players are well-known for their potential and consistency. 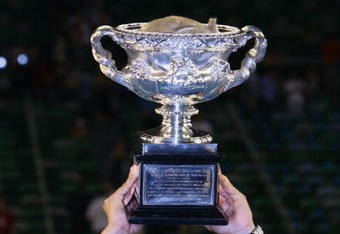 Therefore, in every big tournament like Australian Open and others, we predict better performance from these players.